Today’s Flash Gordon (June 7, 2015) originally appeared February 16, 2003. 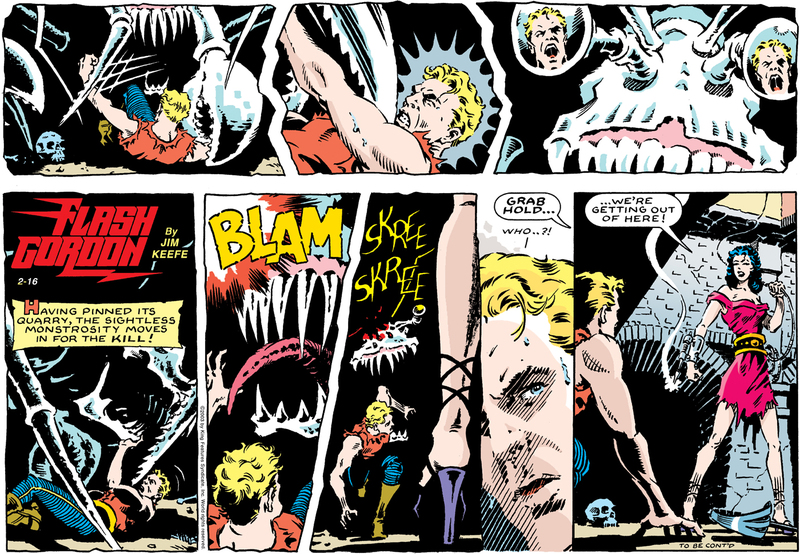 The third panel in the top row shows a progression of Flash’s scream as reflected in the creature’s eyes. 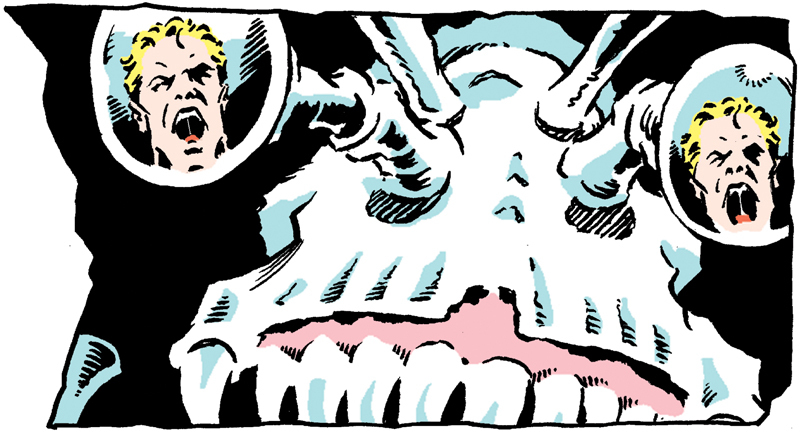 To give credit where credit is due, this echoes a scene from Alan Moore, Steve Bissette and John Totleben’s classic “Anatomy Lesson” story from Swamp Thing #21 (February 1984). 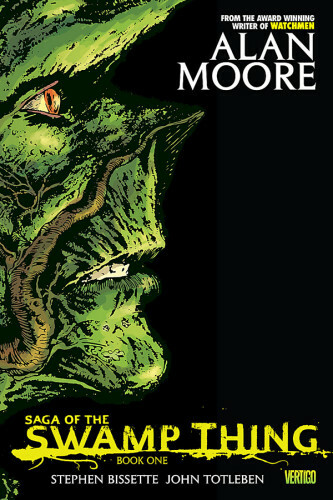 In it, General Sunderland is confronted by the Swamp Thing after it has just discovered the truth of its origin – and its hopes of ever becoming human again have been dashed forever. Notice the reflection in the metal spheres of the Newton’s cradle. 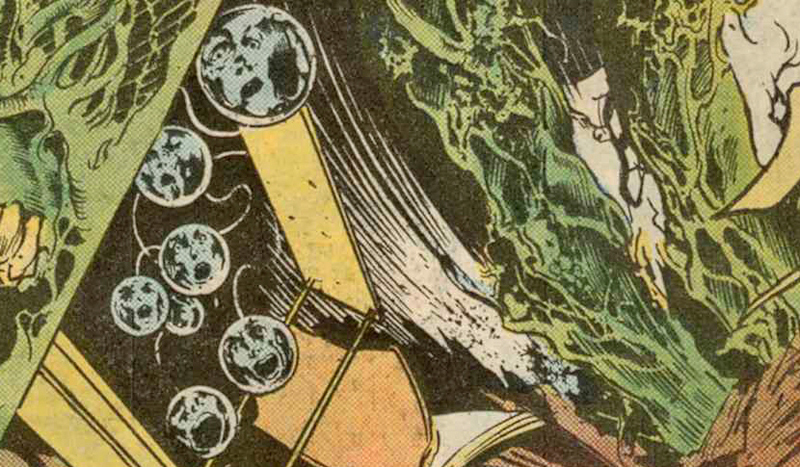 That is the kind of stellar storytelling – that comic art excels in – that leapt out of the pages of Swamp Thing month after month in the mid-eighties. One of those high bars that never ceases to inspire. I recommend it highly. Here’s a link. 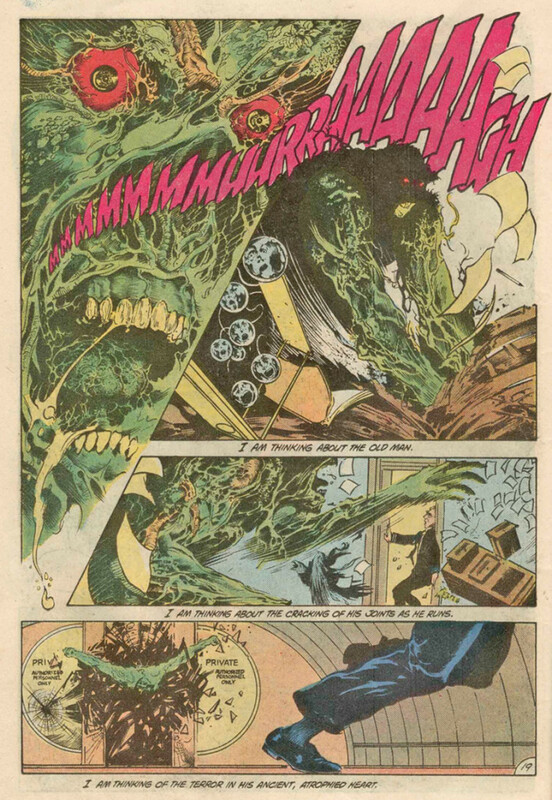 This entry was posted in Flash Gordon, John Totleben, Steve Bissette and tagged Flash Gordon, Swamp Thing. Bookmark the permalink.